Our modern lives force us outdoors to commute and train in the dark, making it essential to be visible at night and safely extend your activity window. SUGOI’s Zap Collection has always upheld our standards for design, technology, and performance while providing superb visibility in low light and darkness. This season we are excited about Zap fabric - a new, incredibly visible fabric that creates explosive illumination. Pixel comprises the base fabric for entire garments, no longer restricted to small hits of reflectivity allowing the entire apparel to become a source of visibility. Best of all, Pixel only reveals its hidden power when struck by artificial light, allowing color and style to play the lead role in the daytime. 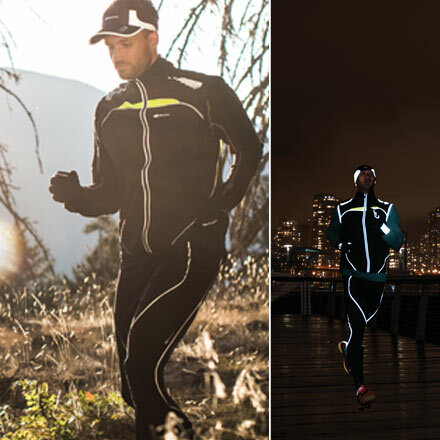 At SUGOI, we specialize in apparel that allows you to perform when the elements don't cooperate, including darkness. Thanks to our Zap line, you don't have to worry about staying safe as the days turn into long nights. 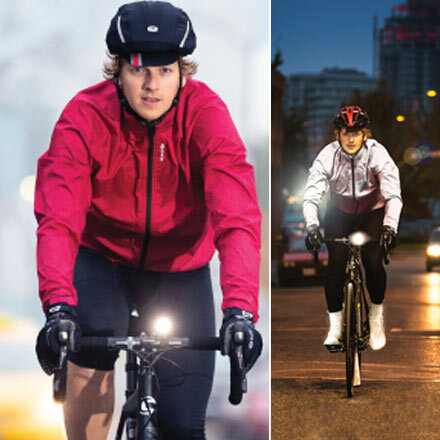 The ultimate visibility combo, the Zap Bike jacket provides upper torso illumination, while the Zap booties create eye catching reflection when feet are in motion. The Run LT Vest and MidZero Zap Tight pack reflective flatlock, stretch ribbon and trim detail to keep all eyes on you at night.